It may be getting cooler outside but things are hotting up here at Smiley Booth as we gear up for our Best Christmas Ever! With office shindigs, festive birthdays, winter weddings, christmas fairs and christmas balls, it’s safe to say we’ll be seeing our fair share of ‘Elfies’ over the coming weeks. With so much going on it can some times get a little frantic and the spirit of Christmas can get a little lost. Make Christmas 2016 your Best Christmas Ever with our 24 Simple Ways to Spark a Smile this Season. Whether you use one of the many online platforms available to make a photo greeting card or you go crazy with the glue and glitter making a homemade creation, taking some time out to create something unique for your nearest and dearest is very therapeutic and will be treasured far more by the recipient. These are fantastic, whether you use them as a Christmas dinner game or as an unusual alternative to an advent calendar Unroll Rudolph and Peel the Spout is 25 layers of festive fun! If there ever was a Smile in a Mug, it’s got to be a hot chocolate. You can’t rush a hot chocolate so take some time out to catch up with a friend or colleague, get your loved one to put their feet up or layer on the marshmallows for the kids. A little warmth goes a long way! Take the dog for a walk (or borrow one if you don’t have one). Pull on the wellies and wade in the puddles. If you have snow even better – let your inner kid go wild with snowman building and snowball fights. We need fresh air and sunlight all year round so wrap up and get out! Get your Christmas groove on! 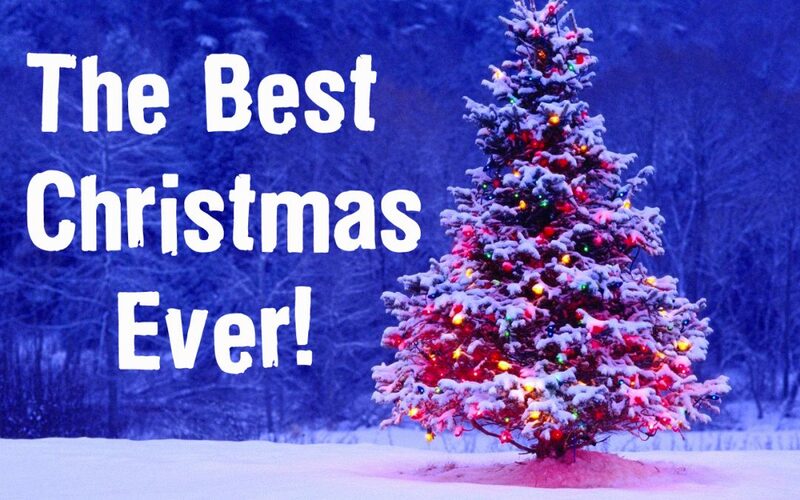 Dig out or download the best of Frank Sinatra, Slade, Michael Buble and The Darkness and play it loud and proud while you put the dec up, wrap the presents or just to cheer up your commute! Surprise your parents by doing for them what they did for you all those incredible years, make their Christmas morning magical. Get up early, spread out gifts, light the fire, brew some coffee and hang those stockings by the chimney with care! This is a guaranteed memory-maker. Stock up on traditional foods, soak up the atmosphere and get merry on mulled wine. Christmas markets are the perfect place to while away a few hours and pick up some unique handmade gifts for loved ones. Christmas is about family and friends but many older people feel lonely and isolated in winter as the effects of the cold keep them inside and the distance and pre-occupation of family can mean they end up last on the list. Spread the Warmth and keep older family, friends and neighbours company this Christmas. 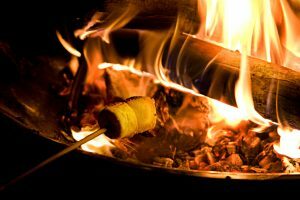 Mmm mouthwatering marshmallows and charming chestnuts. Enjoy a rustic afternoon, sitting in the glow of a glorious fire and be mesmerised by the flickering flames. Brew up some joy by making some festive fumes! Boil up some orange, cinnamon, apple cider, cranberry and cloves and let it simmer or burn some seasonal candles early one morning filling your house with the delicious smell of Christmas. Go all Martha Stewart and eco friendly and make a DIY natural wreath this year – its not as tricky as you might think and every time you cross the threshold you can behold your masterpiece! Be inspired to try something new and maybe you’ll find a new hobby for 2017! Enjoy some down time with crafts such as upcycling, quilting or make some new friends with an activity like ice skating or hand bells. Traditions are wonderful to recognise but there is nothing to stop you creating a new Christmas tradition for your and yours. 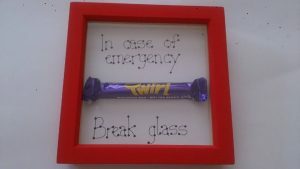 Surprise a neighbour, colleague or complete stranger with a freshly baked treat or better still take some homemade goodies to a foodbank or homeless shelter. Don’t forget to make extras for home and lick the spoon! Incorporating more candlelight into your home give you a chilled out, romantic winter ambiance. Candles just somehow make everything prettier. Terrible jokes, Z-list celebrities, cross-dressing and lots of boo-ing – a traditional Pantomime has it all, but if you don’t want to spend your time shouting at the stage or if you don’t live in the UK there are lots of other Christmas shows to watch out for. 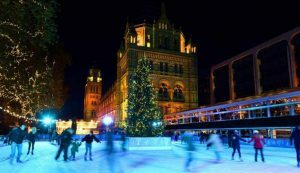 Look for ballets, performances on ice or a carol concert as Christmas alternatives. Onesies, dressing gowns, cosy toes sock, and fleecy blankets. There is nothing more inviting than layering up with a book or a good film on a December evening. 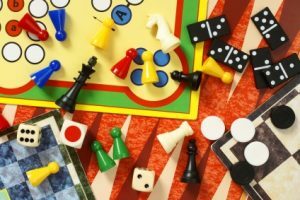 Switch off the phones and the TV and indulge your inner competitor with a Games Night for friends and family. Relive the fun of the good old board game and you’ll be amazed at how mast the hours pass by. Save on your electricity bill and drive around the dazzling display of lights in your local area. The illuminations seem to get bigger and brighter every year. We are all about making your memories last a lifetime here at Smiley Booth and a photo book is a fantastic way to feature friends and family in their very own hardback book. Easily created on or offline it gives guaranteed happiness for the giver and receiver! December is a time for reflection as well as looking forward to the new year ahead. 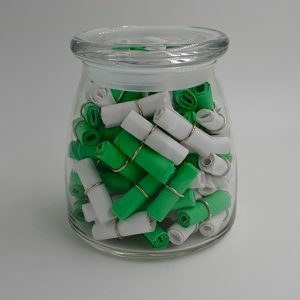 A memory jar is a wonderful thing to create and review. Write down your memories on colourful paper, rocks or lolly sticks, or you could use photos with a description, thought or feeling written on the back. Whatever takes your fancy, get as creative as you like. Put them all in a jar and go through them at your leisure guaranteed to put a big smile on even the most cynical of Christmas humbugs! Being a busy photo booth company means that things don’t slow down for us until Christmas eve. For the last 8 years we’ve gone to the cinema during the day on Christmas eve to see that year’s Christmas blockbuster and it’s always empty! Maybe everyone is out panic buying their last few gifts, I’m not sure, but it is delightfully deserted and always gets us in the Christmas mood. So shhh! don’t tell anyone but if you want a quiet Christmasy afternoon go along to your local cinema and enjoy a festive flick!